My website went live in April 2005, and my hosting company then was offline more than it was on. Even our grand opening was delayed by two days because their servers were down! Since we moved to BCS, downtime hasn't been an issue. On the programming side, I use XCart 4, and I've learned so much from Carrie about maintaining my own site. I've bought numerous mods and had her install them. My site just gets better and better, and my customers love it. What could be better than that?! 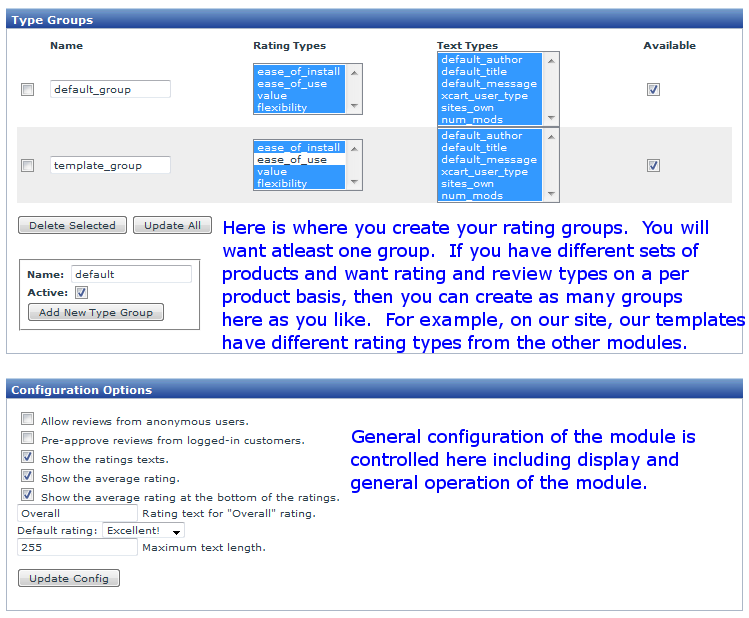 Complete control of what kind of ratings are given. Define multiple star ratings for your products (example Durability rating, Fun rating, Educational rating, etc) Ratings and reviews are connected so you can see the ratings with the reviews! All reviews are moderated. Meaning you the admin can approve them before they go live on your site! This helps prevent spaming and other malicous type of posting of reviews directly on your site! Now with captcha support! 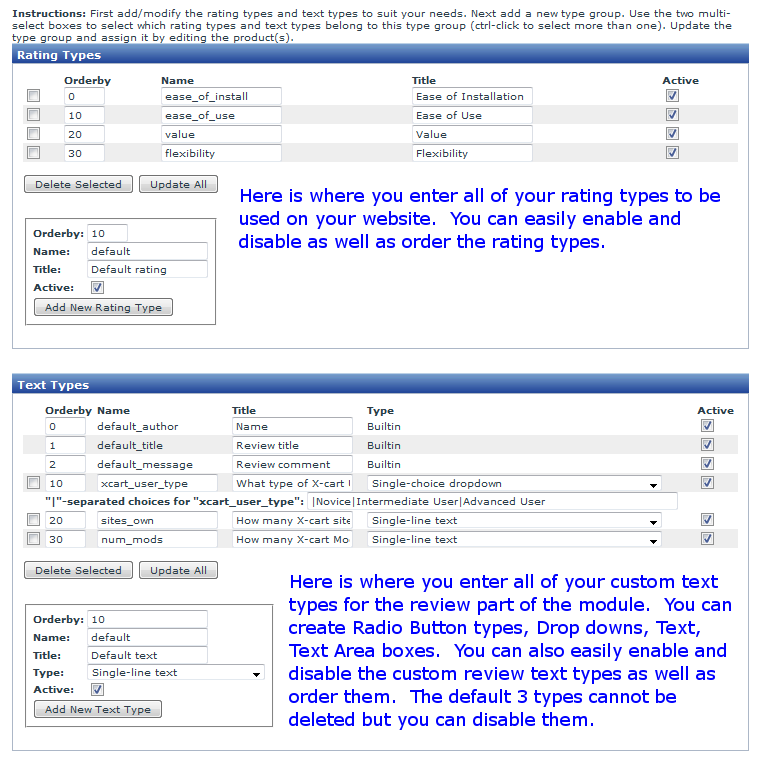 Customers can vote on any of the multiple ratings types you provide. Customers can also write a written review *at the same time* unlike with the built in X-cart module. Or if the customer just wants to rate the item they can just rate it. Reviews are clearly grouped with the ratings with the date and how useful the review was. Ratings can be shown below the thumbnail on the product page. Ratings can be shown in the category pages and search result pages. 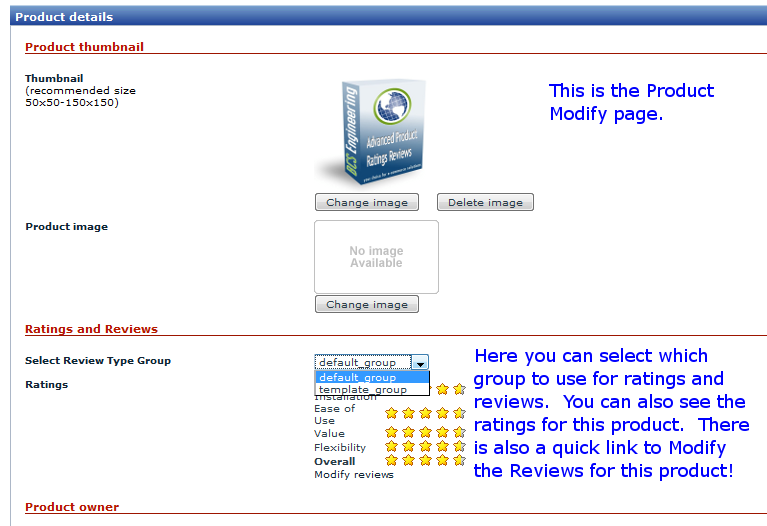 Admin area to view any pending reviews and their rating. Set up one or many Rating Types for your system. 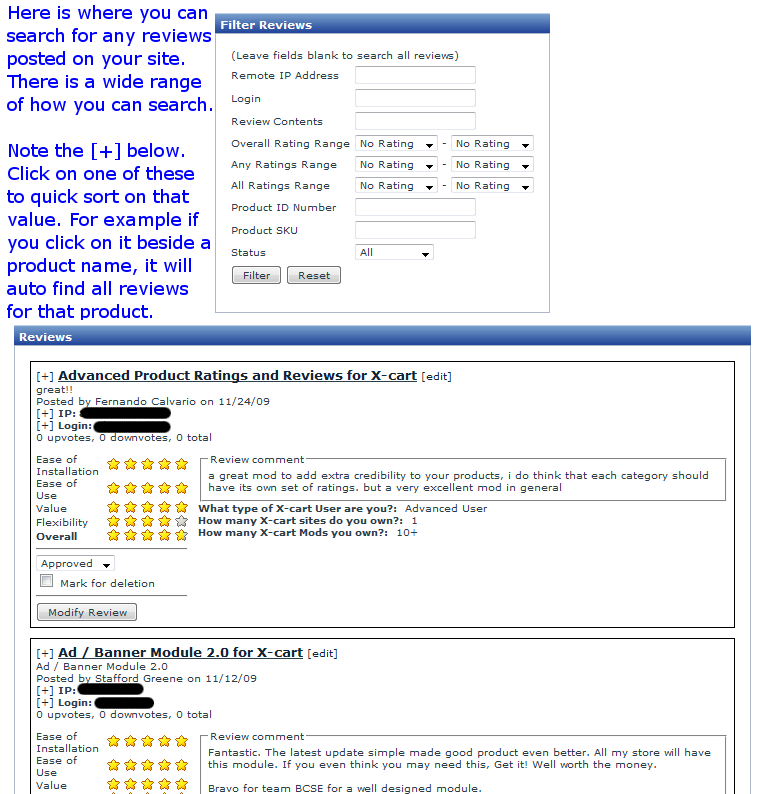 Example, for a toy site you may want Durability, Fun, Educational ratings for every product. Option to show or not show the Rating Text next to the rating (you would want this enabled if you had more than one rating active). You can enter custom text for the average rating. (For example, some may want to call it "Average Rating", others may want to call it "Overall Rating", etc. See the customer side of this mod in use on our site! If you'd like to test the customer side, feel free to place a test review. Please note test review in your text. NOTE: We see a great ability to expand on this module. If you do not see a feature listed that you would like, please Contact Us and we will review your request and may put it in the module for free if we feel many will like it! Be on the look out for a Review Emailer addon module that will allow you to send out email reminders to customers to review the products they bought with links to the product pages. It will be compatible with the built in X-cart reviews as well as this addon!